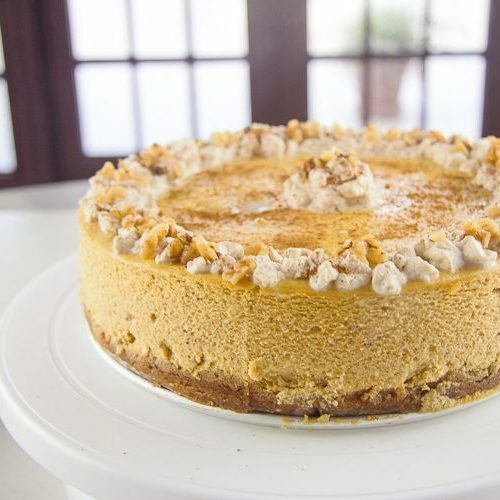 A pumpkin cheesecake makes a great alternative to pumpkin pie and is just as welcome at the dinner table. 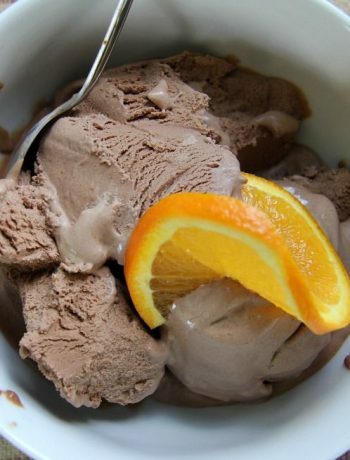 You could happily serve this at a family dinner and they would not be able to tell that it’s not a high carb dessert. The base with almond flour makes a great replacement for the traditional biscuit base and had a dash of cinnamon to give it extra flavour. 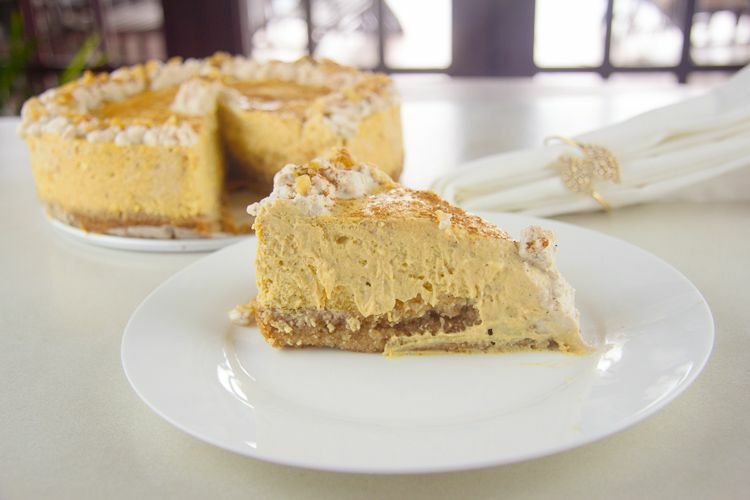 This easy keto cheesecake recipe is creamy and is slightly sweet. The pumpkin spices give it a warmth that adds to the feeling of comfort food on a plate! 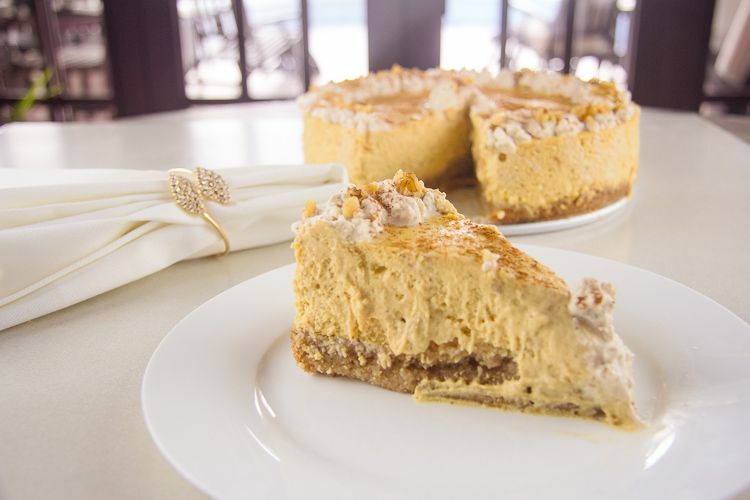 Ideally, you will want to make the cheesecake the day before you want to serve it. It needs at least 4 hours to chill and I find the longer the better so prefer to leave mine overnight in the fridge. Don’t worry about having any cheesecake left over (is that such a thing?) as this will freeze well and keep for another day. 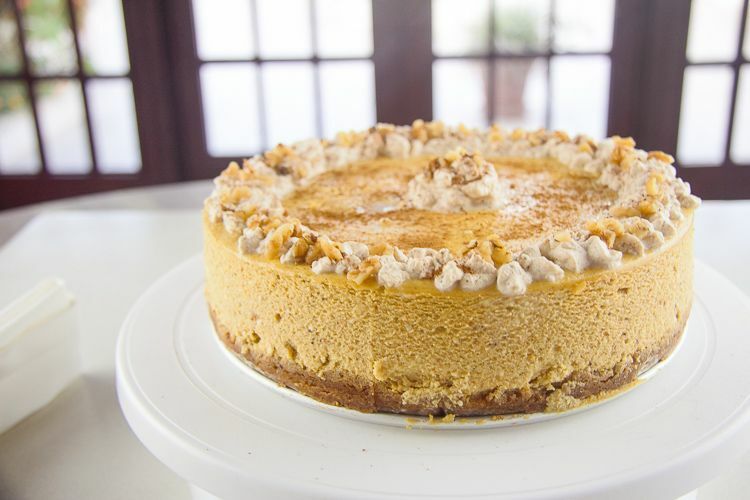 You could slice the pumpkin cheesecake into individual portions before freezing which will make it quicker to defrost too. If you find your cheesecake cracks after cooling it in the oven, lightly wet your fingers and gently press the crack as closed as possible. Smooth over the crack and the area around it until smooth. If all else fails, slather the top with pipped cream! Line an 8-inch spring form cake tin with parchment paper. 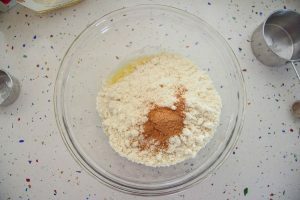 In a bowl mix the almond flour, erythritol and cinnamon. Add the melted butter and stir thoroughly. Spoon the mixture into the cake tin and press down evenly. Place the cream cheese in a bowl and whisk until smooth. Add the erythritol and eggs and whisk further. Add the cream and the vanilla extract and continue to whisk. Add the pumpkin, pumpkin pie spice and cinnamon. 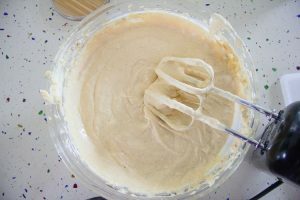 Whisk until the mixture is combined. 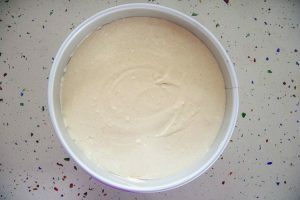 Pour the mixture on top of the cheesecake base and bake for 40-50 minutes. The top should be slightly wobbly. Switch the oven off, slightly crack the door open and allow the cheesecake to cool. 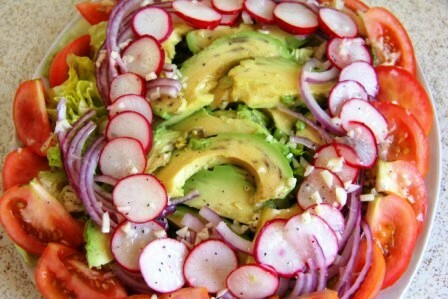 Remove from the oven and place in the fridge to chill for at least 4 hours or overnight. Decorate with cream and chopped nuts (or topping of your choice). 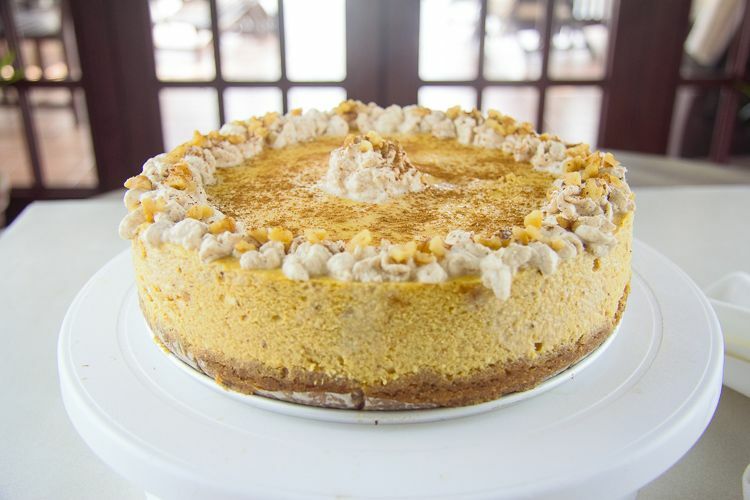 This is a great cheesecake. If I were to make it without the pumpkin would I need to add something in its place? I am the only one in my family that eats pumpkin, so I have the whole thing for myself. I want to make it for Christmas for my family. Thanks again for a wonderful and simple recipe. No, you could make it without the pumpkin but it may bake quicker without it too. Enjoy!